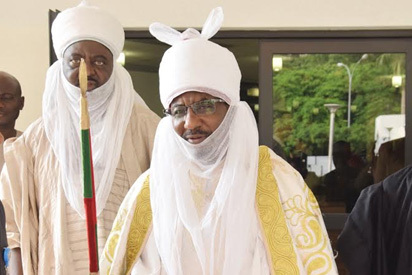 The Emir of Kano, Muhammadu Sanusi II, has enjoined the northern states’ governors to provide proper education for girls from primary to, at least, the secondary level, describing it as the effective way of improving Maternal, Newborn and Child Health MNCH. According to him, “I call on northern governors to ensure free education for girls from primary to at least secondary school or tertiary level. This would help them know how to live a good life and master the dangers associated with marriage and maternal health,” he said Speaking at a one-day workshop on the Role of Traditional and Religious Leaders in Improving Maternal, Newborn and Child Health, organised by MNCH2, held at Kano government house, the Emir noted that educating the girl-child would enable them know how to live a healthy and productive life. At the workshop with the theme: Achieving better health outcomes through engagement with traditional and religious leaders, Emir Sanusi said education would help girls to know the importance of becoming future mothers. He said it would help them to comprehend the nitty-gritty of getting married and the challenges of coping with marital life. In his remark, the state governor, Dr. Abdullahi Ganduje said that affordable, reliable and sustainable healthcare delivery is of topmost priority in the present democratic dispensation. Ganduje also said his administration had initiated series of intervention programmes in collaboration with notable development partners for healthcare delivery system to be formidable.